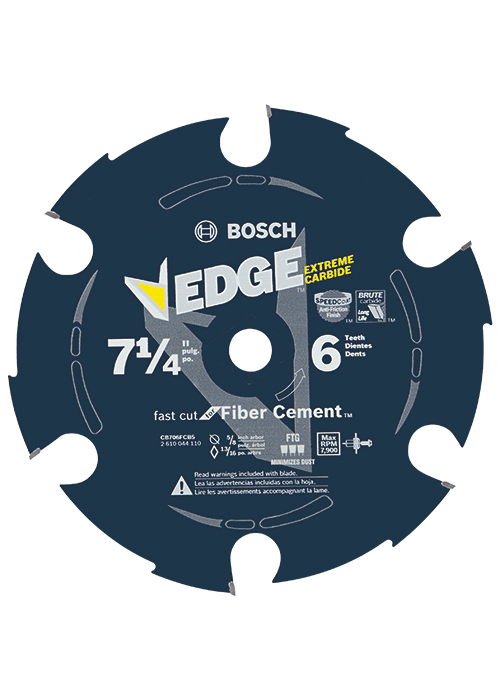 Bosch Edge Carbide-Tipped Saw Blades start sharp, stay sharp and resist impact damage for long life. The blades are made with Brute Carbide, an upgraded C3/C4 micrograin carbide formulation that increases impact resistance for long life. These blades are designed with a Flat Top Grind, for fast ripping through fiber cement material. They are engineered to minimize dust, because of their specially designed deep gullets. The thin kerf design provides fast cuts, less waste and runs true.